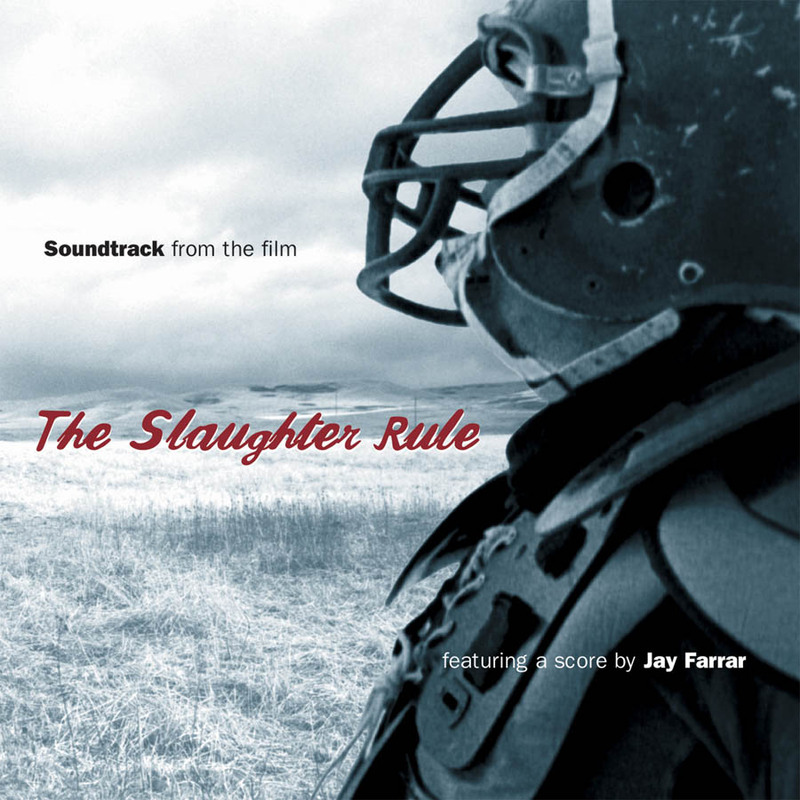 The soundtrack to The Slaughter Rule (starring a very young,unknown, but still hunky RYAN GOSLING). At their worst, soundtrack albums are merely a few well-placed, dust-covered classic rock anthems re-packaged for a quick sale to dim-witted movie goers. At their best, as with the works of Ry Cooder, T-Bone Burnett and Ennio Morricone, they reflect the tone and spirit of a movie, become an extension of it, as well as stand on their own as a distinct musical statement. The soundtrack to The Slaughter Rule (starring a very young and unknown RYAN GOSLING) is most decidedly the latter. Providing the emotional heart of the album are several score selections by Jay Farrar (Son Volt, Uncle Tupelo); they are sparse and brooding with hints of John Fahey. Fleshing out the rest of the album are new recordings by Freakwater, Jay Farrar, Vic Chesnutt, Pernice Brothers, Cheri Knight & the Blood Oranges, Malcolm Holcombe, and previously released tracks from Ryan Adams, Neko Case, Wylie and the Wild West, Speedy West, The Flatlanders, and a rare track from Uncle Tupelo. Taken as a whole, it is a dark and meditative album which also perfectly echoes the stark and melancholic setting. Look for the movie on DVD. One need not see it, though, to enjoy this striking album. It is THE definitive soundtrack to emerge from the alt.country/Americana scene to date!!! The quieter moments of the [soundtrack pieces] recall the finger-picked primacy of Will Oldham's better work, while the amplified passages evoke much of what made Tupelo's original juxtaposition of country and punk so interesting in the first place. It is so subtle, so emotive, it effortlessly captures the feeling of driving an old car across the bleak, two-lane roads of the Midwest. This record is the sound of traveling, or dreaming of travel at least; the sound of being stuck in the same place for too long; the sound of change. The quieter moments of the [soundtrack] recall the finger-picked primacy of Will Oldham's better work, while the amplified passages evoke much of what made Tupelo's original juxtaposition of country and punk so interesting in the first place.